Wellness is the word sending people all over the world to deepen their understanding of their health, their spirituality and ultimately themselves. And while there are countless luxury escapes out there, if you’re looking to narrow that list down to the best that money can buy, who better to trust than Mr & Mrs Smith? For over 20 years, Mr & Mrs Smith has made a name for itself thanks to the founders’ meticulously curated selection of the world’s best hotels and villas. Going beyond just glitz and glamour, all properties promoted by the luxury travel club offer that little something extra to make the experience not just memorable, but life changing—and their upcoming wellness retreat will be no exception. Teaming up with Garance Doré —founder of New York-based creative studio Atelier Doré—Mr & Mrs Smith will host an exclusive, one-off retreat. Named "The Art of Self Discovery", this is the second in a series of luxurious retreats hosted by Doré. Last year, she hosted a soul-awakening week in Marrakech, Morocco. 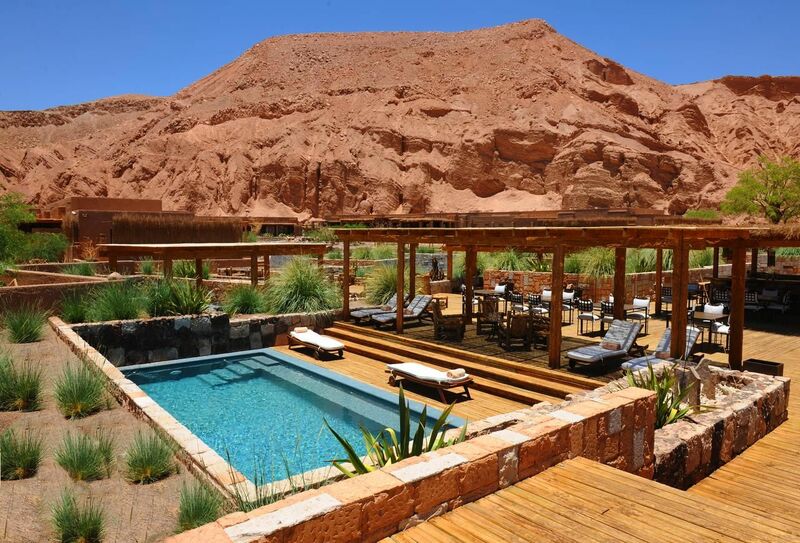 This year, the retreat will take travellers off the grid to luxury lodge Alto Atacama in Chile’s otherworldly Atacama Desert. Alto Atacama was specifically chosen for its remote location, inspiring natural beauty and spiritual connection to the elements. Gurus and master meditators will lead this week-long retreat, which is designed to teach people the ‘tools’ of self-discovery and how to implement them in everyday life. Guests will take part in early morning yoga and daily meditation workshops with bestselling author Susan Piver, receive private readings with renowned astrologist Tashi Dos Santos, and enjoy world-class healthy cuisine by a revered chef.